Find My Workspace lists over 95% of the serviced offices market in Brisbane CBD. Simply click Request Quote to check pricing for one office, or Add to Basket for multiple offices. This completely refurbished building offers the city’s most versatile office space with more than 230 offices on 11 levels. 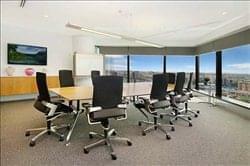 Envelop yourself and your company in an atmosphere of warmth and professionalism in this central Brisbane office space. Friendly on-site staff are available to greet you and your visitors, plus they offer a telephone answering service – perfect for avoiding missed calls during long meetings. You can choose from serviced, non-serviced and virtual offices in this space, all on flexible leases, which means whether you need space short or long-term, you can expand or downsize your space at any time within your agreement. This centre is one of Brisbane’s largest conference centres, meaning all of your business requirements can be met, whether you need a small space for a one-to-one catch up, or you have a huge, conference-level meeting planned. A premium coworking space located in the award-winning heritage Anzac Square Building, above the retail precinct in Brisbane CBD. Regular professional development and community events make it a great space to grow your business. High-quality, all-inclusive member amenities include: a fully serviced cafe with barista, high-tech meeting facilities, serviced meeting and event spaces, a media studio with podcasting facilities, exercise room and wellness rooms, end of trip facilities with towel service and relaxation spaces, a rooftop event space. 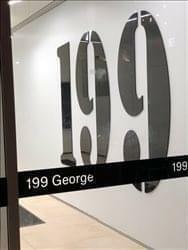 This centre, based within a heritage building in the heart of Brisbane’s central business district, is ideally suited to modern office requirements for companies of all sizes. Featuring both easy, 24-hour access and incredibly close proximity to the CBD’s many local amenities and services, it is bounded by Hutton Lane to the south-west and contains a heritage façade of the pre-existing RS Exton & Co building. Take advantage of access to meeting rooms, and the polite, friendly greetings from the on-site reception staff, and benefit from the incredibly flexible terms and inclusive pricing on offer too. NEW FINANCIAL YEAR SPECIAL – FREE CARPARK AT MCWHIRTERS ON ANY OFFICE DEAL. This business centre is located in the Valley’s newest development. This brand new, state-of-the-art facility offers fully furnished offices of various sizes, full reception services with dedicated phone answering, and boardroom and meeting rooms at no extra cost. Designed by leading architects Nettleton Tribe and incorporating a 5-star Green Star office design, this is a premium address in the heart of Brisbane’s fastest growing commercial precinct. This centre is housed in a 22-storey office building in the heart of Brisbane’s central business district overlooking Queen Street Mall, King George Square and the Brisbane River. It is a fully refurbished Grade A building close to the offices of many leading companies. This business centre attracts professionals who have the drive to succeed. The open environment provides optimal atmosphere for connection and collaboration, our private meeting rooms and touch down spaces allow for quiet, focused work. Benefits include flexible monthly membership, no contracts, meeting spaces, a large boardroom with videoconferencing, high speed fibre optic wifi, space concierge and printing facilities. Tired of working from home? Don’t want to commit to a super long term lease and lots of T&Cs? Want a fantastic space to make your working day more enjoyable and professional? Available right now are limited desks at one of Brisbane CBD’s premiere professional co-working opportunities. Book now and receive a special offer; 3 month starter package with a two week free introductory bonus. Included in the pricing you have a dedicated desk per person (choose with or without lockable filing cabinet at no extra cost) and access 5 business days per week from 8am to 6pm. there is a private boardroom and videoconference facilities access, with unlimited high speed internet and use of the kitchen facilities, BYO tea, coffee and snacks. Of course the electricity bills and regular office cleaning included and has 24/7 high quality security with fingerprint and swipe card access. Your business deserves superior performance, exceptional luxury and cutting-edge technology, as well as flexible terms and inclusive pricing. This space pushes the boundaries of what shared workspaces mean to businesses, and provides all this to clients. Enjoy collaborative coworking space, comfortable private offices, professional meeting rooms and relaxing breakout spaces, on a 24-hour basis, thanks to the secure access. Network with like-minded professionals and become part of a community made up of over 40,000 global clients. This space truly allows you to take advantage of a global interconnected data network, so you can operate your business with no interruptions, plus the on-site staff are available to provide you with as much support as you need while you grow. This 40-storey building is one of the most distinctive landmarks in Brisbane, where exquisite river views are just one of the many benefits of having office space in this prestigious business address. The blue-green glass exterior mirrors the Brisbane River, and the marble and chrome pillars featured in the foyer offer a truly impressive first impression to any visitors to your company. The in-house cafe and lounge areas are available as a comfortable space for those quick catch ups or just a simple coffee break, while fully serviced offices and meeting rooms offer you a corporate hub from which to run your business. Situated within the central business district, this is one of Brisbane’s most prestigious commercial addresses, which overlooks the Brisbane River. It incorporates a plaza area that provides waterside access for the public via the City Cat terminals. A prestigious 41-storey commercial office tower, combining ground floor retail space and restaurants, this development was designed by renowned architect Harry Seidler and provides a premium standard of office accommodation. Services and facilities include state-of-the-art Internet and network access, professional reception services and modern fully furnished offices. This building follows best practice environmentally sustainable design principles, and has achieved a 6 star Green Star As-Built rating. Located on Level 54, the centre features 3 m high ceilings that provide significant natural light and outstanding river views. There is no doubting the building profile with tenants including ANZ Bank, Norton Rose, Arrow Energy, ERM Power, DGR Global, Solaris Wealth Management, JWS Lawyers and Xstrata Coal proves the address second-to-none. This centre delivers a professional and secure environment. Take all of this and combine it with our exceptional client-orientated service, our philosophy of exceeding expectations, flexible leases and affordable prices, the decision to base your Brisbane business at this centre is a logical choice. At this building on Eagle Street, you’ll be working with some of the most influential business and government offices in Brisbane. The 40 individual offices have been architecturally designed to give your clients and staff a premium experience they will love. 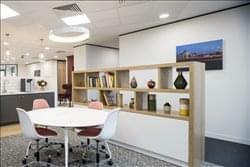 The assortment of breakout spaces and meeting rooms are styled with European designed furniture, making this location one of central Brisbane’s premier corporate addresses. With these serviced offices located on Level 18, the sunrise and river views will never cease to amaze. Let your new office provide your business with unsurpassed edge, elegance and sophistication. This workspace strives to deliver excellence in all services provided to you. The centre has created a smarter, hassle-free and convenient pathway to your new office, and the on-site team is here to help, so you can focus on the bigger picture as they understand the challenges that many business face when trying to move into a new office space. This centre offers flexible lease terms and continuous onsite support by the experienced team, even after your initial move-in. This centre boasts exceptional amenities such as breathtaking riverfront views, fast business grade internet (400/400), full reception services, meeting rooms and business lounge access as well as kitchen and end of trip facilities. Being a part of this office space will open up networking opportunities and provide access to other Brisbane CBD, Melbourne and Sydney locations. This quirky, fully-furnished work-space is the ideal place to find floors of private offices, hot desks and dedicated desks in the heart of Brisbane City. Meeting rooms can be booked via an app, and come well-equipped with A/V equipment and conference amenities to ensure you’ve got top of the range equipment to use for all your presentations and pitches. The outdoor area is perfect for a breath of fresh air, coffee or after work drink and event space is available to use and is kitted out with a sound system, lighting gear and a projector. For those who run or cycle to work, there are onsite showers for freshening up to start your day off right. Fresh and light-filled for you to think, collaborate, create and strategise; this impressive business centre features a boutique co-working space that includes three 1-3 person offices, 10 permanent workstations and eight hot desks – all of which are furnished to an exceptionally high standard. The space also includes a 12 person boardroom, a six person meeting room and an open space all available for tenants of the space to book. Clients can enjoy super fast, high-speed internet, tea and coffee facilities, bicycle racks and end of trip facilities that cater to those who cycle to work or enjoy exercising before coming to work. This Fortitude Valley business centre provides a fantastic location in one of Brisbane’s most dynamic urban renewal precincts, as well as a world-class infrastructure, sophisticated corporate facilities, and great accessibility to the city’s integrated transport system. There is also secure parking available. Major retailers and government organisations have relocated their headquarters from the CBD and other fringe suburbs to Fortitude Valley. This modern and professional business centre offers fully furnished executive suites and open-plan office space, as well as co-working areas and virtual office options. It features on-site facilities such as meeting rooms and a business lounge. Situated on level 16 of the building, it provides beautiful views over the Brisbane River, hinderland and the central business district. A great office offering a tranquil setting in an eye-catching location, perfect for giving your guests a great first impression. This well-equipped and centrally located business centre has been designed to be a collaborative co-working hub for creative thinkers. Step into a thoughtfully designed office space with a range breakout rooms, meeting and boardrooms for you and your clients as well as a yoga room, showers, bike racks and games area. This is vibrant community built to transform the way the occupants work. All inclusive, fully furnished and ready-to-go managed office space equipped with high speed internet access & printing. This space is a combination of hot desks, open office, private offices and project spaces. This centre offers modern serviced offices with broadband Internet access and CAT 5 cabling. 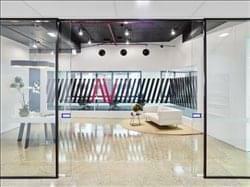 This office space is part of a small chain of centres in Australia that provides space with a high level of customer service. Spacious offices, most with window views, a board room, meeting rooms and casual offices are all available. Virtual offices can also be leased, along with administrative and secretarial support. 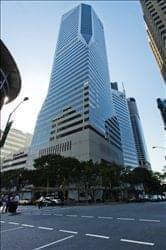 This centre on Queen Street, Brisbane is the most distinctive and largest office complex in Brisbane’s Central Business District. The centre is close to every major trading bank and lies midway between the Stock Exchange and The General Post Office and between Central Railway Station and the main Ferry Terminal. This centre is on the 21st level of this impressive 48-storey building which houses high-profile private and public sector corporations as well as service companies. 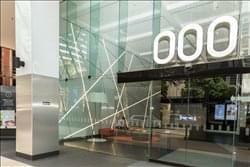 A five-star serviced office and co-working centre located in the very heart of Brisbane’s CBD. Designed to include a combination of private offices, spacious co-working areas, private meeting rooms, and informal booths next to the beautiful kitchen and breakout area with timber flooring, widespread use of glass and fantastic furniture that work to make this centre visually appealing and a stimulating centre to work from. 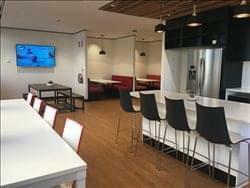 The amenities include leading class fibre internet and world class technology throughout the centre, and fantastic customer service all which encourages productivity and collaboration among teams and companies. 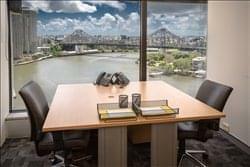 This professional business centre is situated on the 27th floor of this office building, offering incredible views of the Brisbane River, Story Bridge, St. Johns Cathedral and beyond. 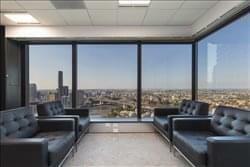 It offers fully furnished office space and executive suites, as well as virtual office options. Great on-site facilities including meeting rooms and a business lounge are also available. This centre on Queen Street boasts a truly central location within the Brisbane CBD. Offering modern serviced office spaces with tailored solutions to suit all businesses. 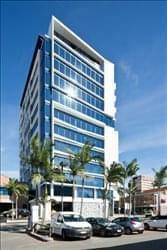 This centre is situated in an A grade office tower on the corner of Creek and Queen Streets which is close to shops, public transport, parking and the Golden Triangle Business district. Spacial amenities are shared within internal communal breakout areas and premium meeting rooms with a range of professional services to help you build your business like high speed internet, 24/7 access, high quality reception and admin services, car-parking and bike racks, end of trip facilities, a work bar and kitchen offering complementary coffee. This business centre is a sophisticated office space in an iconic, A Grade building. It is perfectly situated in a busy precinct of the Brisbane CBD and offers some of the best facilities available. On Turbot Street this office has been carefully planned and includes premium end-of-trip facilities, meeting rooms, boardrooms, training rooms, large kitchen, break out space and office design which provides the most natural light into the space. To obtain information for your selected Brisbane CBD Serviced Offices, please tick the "Add to basket" box for each office you prefer and complete the form below. We will then send a detailed report via email.